George Hoggard knows a thing or two about the importance of a rapid response. A former firefighter, the 78-year-old Titusville, Florida, resident spent the better part of his 42-year career teaching astronauts at the Kennedy Space Center how to escape to safety in the event of an emergency on the launch pad. He also was a member of the rescue team that would respond if something went wrong with a space shuttle mission. So when his right eye suddenly began looking left while watching TV on a Sunday evening in April 2016, George knew something was amiss. When he began feeling nauseated, he told his wife, Rita, he needed to get to the hospital. 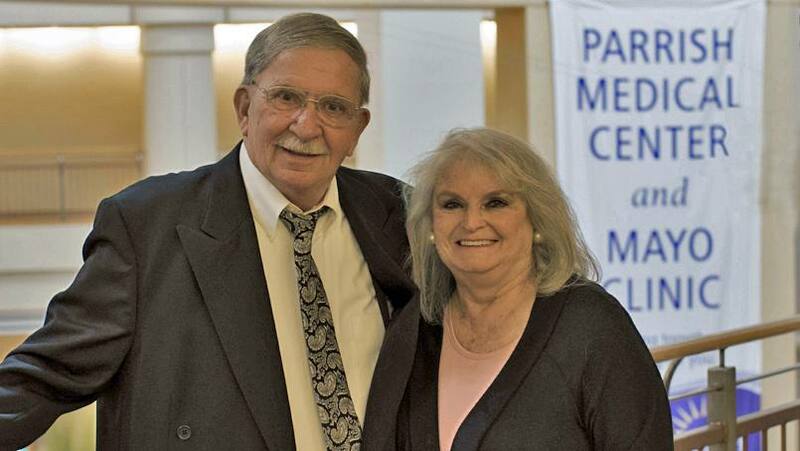 As they prepared to make the 10-minute drive to Parrish Medical Center, a member of the Mayo Clinic Care Network, Rita asked George to lift up both arms. “Although his face symmetry and smile were even, one of his arms started drifting down,” Rita says. She suspected he was having a stroke. As soon as the Hoggards arrived at the medical center, George was triaged for a brain attack, and members of the Parrish emergency team reached out to colleagues two-and-a-half hours north at Mayo Clinic’s Florida campus. Because of a shortage of neurologists in the country, Parrish opted to collaborate with Mayo Clinic. In 2010, it became the first hospital to join the telestroke initiative. Via a remote presence robot, neurologists at Mayo Clinic’s Comprehensive Stroke Center in Jacksonville can remotely evaluate acute stroke patients, and assist with diagnosis and treatment, despite being more than 130 miles away. For many stroke patients, an intravenous clot-busting drug called tPA has been shown to be effective if administered to patients within three to four-and-a-half hours from the time symptoms begin. Dr. Barrett was on call the night George Hoggard arrived at the hospital. Through a two-way camera with zoom and tilt capability, Dr. Barrett was able to engage with the emergency team at Parrish in real-time and perform George’s neurological exam. The secure connection also enabled him to view the results of a brain CT. He could talk directly to George and Rita to clarify when George’s stroke symptoms started. George received an infusion of tPA with the goal of dissolving the clot and restoring blood flow to his brain. Unfortunately, George experienced a complication and was airlifted to Jacksonville, so the stroke team at Mayo Clinic could more effectively manage his care. He stayed in Jacksonville for two weeks, where the team treated him for high blood pressure and fluid build-up in his lungs. They also addressed speech, physical and occupational therapy concerns. After his stroke, George initially had a problem with his balance. And although he could speak clearly and recognize letters, he couldn’t distinguish a word and read it. But today, thanks to the collaboration between his Parrish Medical Center and Mayo Clinic care teams, he’s steady on his feet, and his reading and cognition have improved. “It’s an absolute blessing that they could learn so much so quickly through the telestroke robot,” Rita says. George echoes her sentiments. “I benefited greatly by that technology being only a few blocks away at Parrish Medical Center. I feel great and, of course, so pleased that I’m going to enjoy a normal life after a stroke,” he says. “Mayo Clinic is a world-class facility with the best technology and professional care. They know how to connect with the patient and truly cared about George’s well-being,” Rita adds. Learn more about the telestroke program – and George’s experience – in the video below. Thanks to Mayo Clinic for speaks clearly . Walks. Used hands . Good.